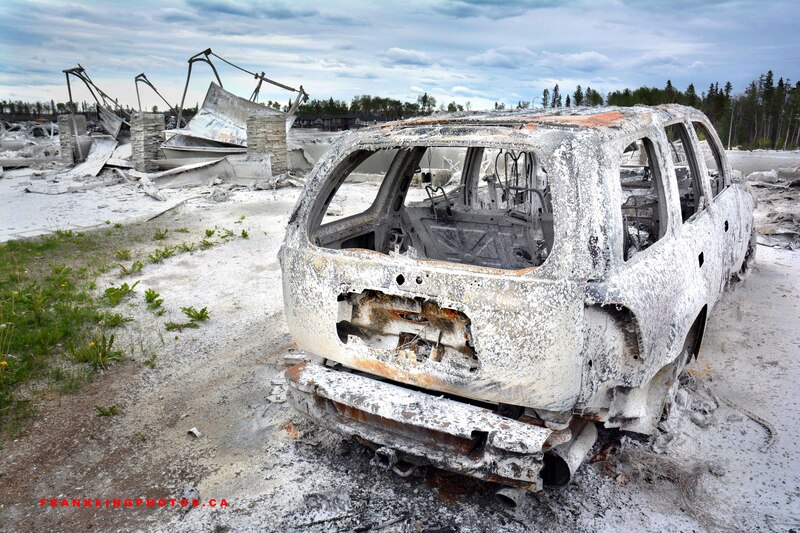 In May, when a catastrophic wildfire swept through parts of this northern Alberta city, entire streets were leveled to their foundations. By the time the fire was finally controlled in the city, more than 2,400 buildings had been reduced to their foundations. I was there to document the work of Samaritan’s Purse and the Billy Graham Evangelistic Association of Canada. They were providing physical, emotional and spiritual help to devastated residents. I had a few moments to capture scenes of destruction. It was hard to find recognizable things, but the remains of this vhicle made for a good photograph. Quite the photo, isn’t it? Enough to give one nightmares.